I have found that movies, books, and the media in general have gotten into the habit of praising dogged perseverance. "Oh, some guy finally got what he wanted after he did this for 10 years? Wow! That's amazing! It's so nice to see when a little hard work and perseverance pays off!" Don't get me wrong. I'm as much of a sucker for those type of stories as the next person, but I'm afraid that the other side to that coin isn't getting that much airtime. There's a reason why this man is heralded as one of the greatest minds of all time, folks. 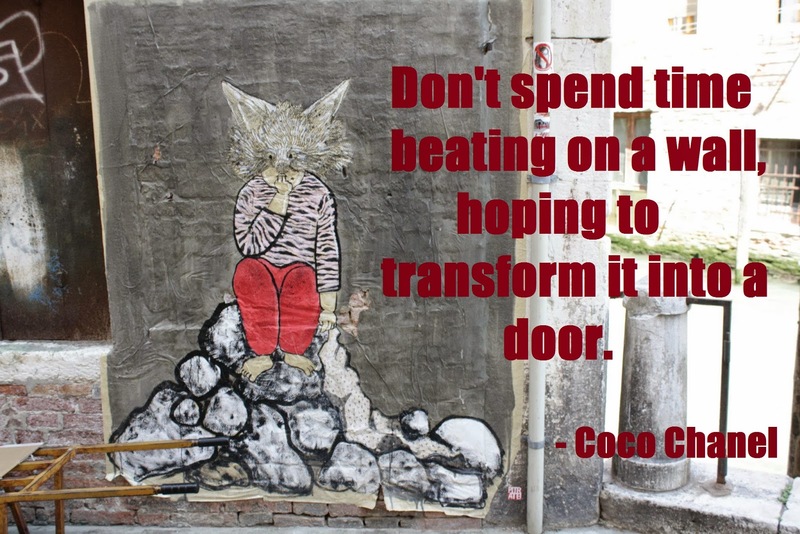 Take it from him and Coco Chanel; you cannot make a door out of a concrete wall (unless you have a wrecking ball, I suppose). If things seem dismal and trapped in dead end land, then take a moment to step outside of the situation, reassess, and find an alternate route. I guarantee you there is something that can be done.